- all fonts must to converted to outlines. - CMYK. RGB files must be converted to CMYK, which might cause slight colour differences. - Please supply every page in a different file. - When using PMS colours, please think about a proper colour seperation. - If applicable, please use printing bleed. - insert all crop marks and bleed. If a print is missing it is impossible to check or compare. This is at your own risk. Therefore always send us a print, and a colour seperated print if possible. The print and the document must be identical. If desired you can send us your files by post, but this is at your own risk. Media can get damaged. Moods and the City BV can not be held liable for mistakes made by you when supplying files. You make a choice of one of our different kinds of paperbags. By filling out our quotation form or sending us an email you can apply for a quotation. For giving you the right price it is important that we receive your artwork and, if you have one, your sample bag. After receiving our quotation, you can confirm per email that you agree with our quotation. Our design studio will create your bag, witout any additional charges, according to your wishes. After the order confirmation and design approval we expect you to do a down payment of 50% of the total amount. You will receive a proforma invoice for this. After receiving your down payment we will proceed to the production of your bags. Our normal delivery time is about 4 weeks. You will be informed abou the delivery beforehand. Our deliveries are free of charge to one address in the Netherlands. » www.bedruktemagneten.nl powered by Moods and the City BV. Moods and the City BV is a wholesaler/ importer located in Apeldoorn, the Netherlands. Our customer base consists of companies, wholesalers, resellers and advertising companies. 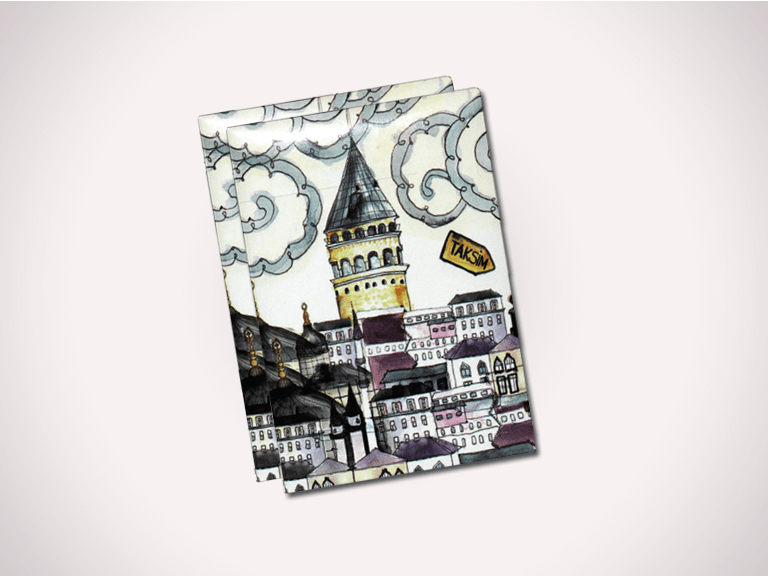 Thanks to our very long experience and presence in Turkey, we are capable of offering you a very wide collection of custom made promotional products and printed bags at very competitive prices. Our Standard delivery time is 4 weeks, but if you need an Express delivery, we are there to support you. Rapidly we can switch to a higher speed in order to get the desired products delivered to our customers. We have very tight conditions with our manufacturers in Istanbul. We would love to invite you to our showroom in Apeldoorn, in order to talk together about what we can mean for each other. Our coffee is hot! All our products are manufactured in Turkey, which gives you the guarantee of a standard delivery time of about 4 weeks. But we can deliver even faster if necessary. Furthermore we can do Express deliveries within 7 days. Please ask us and you will know. Moods Promo is well known for its transparent and honest prices. No extra costs afterwards. You will get an exact quotation with all the costs included. We will not give you bad surpises afterwards. Test us and you will know it. All-inclusive prices! Many wonder how it is possible to deliver such a wide collection custom made prodcuts, in such a short time, at these competitive prices. That is because we have very sharp conditions with our manufacturers in Istanbul. Please give it a try. MoodsPromo is manufacturer of all kind of custom made promotional products, that is how we make our living. When you need support for the design of your artwork, we will do that at cost price. Give us the opportunity to show us how easy your artwork is made. » DELIVERY TO ALL COUNTIRES. When you give us an order for our products, we will inform you exactly about all the extra costs and transport costs before hand. This is how we make it very easy for you. Some products are inclusive free delivery to all EU Countries. Please watch us. MoodsPromo is very well capable of supplying resellers, advertising agencies and wholesalers. We set up our very exclusive Resellers Program for that. Our expertise, knowledge and experience are realy extremely valued by our costumers worldwide. On this site we have made a selection out of the many products that we have in custom made promotional items and packaging products. As we don’t work with Standard stocks, we can make all your custom made products. Please call us. Thanks to our short lines to our manufacturers in Turkey, and the various possibilities, we are very fast in switching to a higher level. Please ask us how we can do an Express Production and Express Delivery with DHL. You will be surprised. Items: all objects which could be the subject of a contract with a member of the NVGP. The terms are used alternatively according to their specific application. 2.1 These General Terms and Conditions apply to all our offers and all contracts with Us of whatever nature and whatever they are called. 2.2Departure from these General Terms and Conditions shall only be possible if we state or acknowledge this expressly in writing. 2.3 Other general terms and conditions, such as the other party's terms and conditions of purchase, in so far as they do not correspond to these General Terms and Conditions, shall be applicable only if we have confirmed this expressly in a separate document. 2.4 These General Terms and Conditions shall also apply for the benefit of our staff and auxiliary workers who are involved in the performance of the contract, as well as to third parties by whom we allow the contract to be performed wholly or in part. 2.5The Other Party accepts the applicability of these General Terms and Conditions as well and unconditionally to all future contracts and offers for contracts. 3.1 All quotations are free of obligation, unless a period for acceptance has been set. Nevertheless, we shall have the right to withdraw our quotation, as long as the other party has not yet accepted the offer. 3.2 An aggregate price quotation included in an offer shall not create an obligation for Us to deliver part of the goods included in the offer at an proportional part of the total price quoted. 3.3 Offers shall relate only to the quantities and products mentioned in the quotation and shall not automatically apply to reorders. 3.4 Illustrations, sizes, weights, colours, technical data and suchlike in brochures, quotations and contracts should be understood as such that the other party must take account of minor deviations which do not exceed the boundaries of what is normal (see also articles 8 and 22). 4.1 If and in so far as we have set a period for acceptance, a contract shall be concluded through full, written and unconditional acceptance of the quotation by the other party within the term fixed. 4.2 In all other cases a contract shall only be concluded through written confirmation of the order on our part or through delivery by Us. In the latter case, the invoice from Us shall be considered as written confirmation of the order. 4.3 Contracts which are concluded through the intermediary services of our representatives/agents shall not be binding on Us until they have been conformed in writing by Us, or we have proceeded to make delivery. 5.1 Cancellation of the contract (order) by the other party shall not be possible without explicit written consent from Us. The request for cancellation must be made to Us in writing. 5.2 If the request for cancellation is accepted by Us, we shall be entitled to attach conditions to such consent. 6.1If the Other Party should fail to comply with its obligations under a contract concluded with Us, or should fail to comply in good time, as well as in case of late payment of amounts that can be claimed, interruption of payment, application for suspension of payment, application for insolvency, application of a debt rescheduling scheme or placement of the Other Party in receivership or in the event of liquidation of the Other Party's business, we shall be entitled to dissolve the contract as well as other contracts between Us and the Other Party as yet unperformed, without notice of default and/or judicial intervention, wholly or in part, and to claim damages. 7.1 Unless explicitly stated otherwise, quoted or agreed prices in Euros shall apply. If prices are quoted in foreign currency and the equivalent value is stated in Euros, this equivalent value shall only apply by approximation. • exclusive of costs of quality checks. 7.3 If one of the cost-determining factors of a product should change in the period between the offer date and the delivery date, we shall have the right to adjust the agreed price accordingly, whether or not the cost-price increase was foreseeable at the time of the offer or confirmation, all this with due observance of the relevant, applicable legal rules and regulations. Should the new price deviate by more than 5% from the agreed price, the Customer shall have the right to dissolve the contract free of charge. In that case, we shall not be obliged to pay any damages. 7.4 Price changes resulting from exchange rate fluctuations and changes in the exchange rates between the Euro and other currency, when any payment for delivery has to be made in currency other than the Euro, shall be for the Customer's account, in so far as these changes deviate by more than 5 % from the exchange rate as it applied on the date of confirmation of the contract. 8.1 The quantities ordered by another party shall be adjusted by Us automatically to the minimum quantities/packaging units applied by Us. 8.2 The quantities stated in the contract shall be indicated as accurately as possible by us, whereby we shall be allowed to deviate from the indicated or agreed quantity. The degree of deviation is regulated in Article 22 of these General Terms and Conditions. 8.3 We shall state the delivered quantities on the delivery document. 8.4 If the Customer does not notify Us in writing of any objection to the delivery document within 24 hours at most of its receipt, the quantity stated on the delivery document shall be deemed to indicate the delivered goods correctly. 8.5We explicitly reserve the right to change non-essential details regarding the Items to be delivered by Us without prior notice. 8.6 Unless explicitly indicated otherwise, all dimensions indicated by Us shall apply by approximation. If the dimensions have been provided by the Other Party, we shall not bear any responsibility for this. 8.7 Changes made by the Other Party to indicated dimensions after conclusion of the contract shall entail that any related costs can be charged by Us to the Other Party. 9.1 The agreed delivery time shall start to run on the day on which the written order confirmation is dated, or (failing a written order confirmation) on the day on which the Other Party addresses Us in writing for the first time for delivery on a specific date. The delivery time shall not start to run, however, until the Other Party has provided Us with all information, documents, any required permits and materials to be treated which are necessary for the performance of the contract. 9.2 The delivery times indicated by Us shall always apply by approximation and shall never be deadlines. Exceeding of such a period shall not give the Customer the right to dissolve the contract unless the period has been exceeded to such an extent that the Customer can no longer be required to continue the contract according to the criteria of reasonableness and fairness. If the Customer dissolves the contract, this shall not give rise to any obligation for Us to compensate any loss incurred by the Customer in the matter. 9.3 Before the Other Party can dissolve the contract, as referred to in clause 9.2, in the event of late payment, we must be put in default in writing and given a period of at least 14 days yet to comply with our obligations. 9.4 The place of delivery is our warehouse at the location of our (main) branch. 9.5 Each partial delivery shall be considered and treated as a separate delivery, with all related legal consequences. 9.6 If the Customer notifies Us before delivery that it wishes to take delivery at a place other than the agreed place, we shall comply with this in so far as such can reasonably be required of us. If complying with this request entails additional costs, the Customer must compensate Us for these additional costs. If we comply with the Customer's request, the provisions of Article 10 of these Terms and Conditions shall apply mutatis mutandis. 9.7 The Customer must see to it that any customs documents are returned in a timely manner to the responsible authorities, failing which the additional costs involved in this shall be payable by the Customer. 10.1 If we take care of certain matters for the transport of Items intended for the Customer, this shall take place at the expense and risk of the Customer in a manner to be determined by us. 10.2 Except for the cases in which the articles are not transported to our Customers by our own means of transport, the General Transport Terms or the CMR terms as applied in the transport world shall be applicable to the transport. 10.3 Unless our own means of transport are used for the transport, the Goods shall not be insured during transport. The Customer must provide for this itself. 10.4 If delivery should prove impossible at the place indicated by the Customer, the additional costs incurred in connection with this shall be payable by the Customer. 10.5 Delivery shall always be made next to the vehicle that delivers the articles. The Customer must take delivery of the articles there. The customer, together with us, shall bear responsibility for the unloading of the Goods. Should the Customer fail to do so, the additional costs incurred by Us shall be for its account. 11.1Unless explicitly stated otherwise by us, the packing materials shall be included in the price of our articles. In this case, packing materials do not mean the commercial packaging. We do not charge a deposit on packing materials unless we are required by the government to do so, or this has been explicitly stated by Us. 11.2 If our Goods are delivered on so-called Europallets or on pallets which are part of a pallet pool, we shall charge these pallets as packing materials, unless upon delivery identical, undamaged pallets are given in return. 11.3 If we are required by our Customer or by the government to take back packing materials or packaging materials delivered and used by Us upon delivery, the costs involved in this, including any costs of destruction, shall be payable by the Customer. 11.4 Packing materials, such as rolling containers, crates, boxes, pallets and the like, in so far as they are not intended to be used once only, shall remain our property. The Customer shall remain liable for the packing materials sent to it, even if no deposit is charged on them. The Customer must return the empty return packing materials to Us as soon as possible at the Customer's own expense, unless explicitly agreed otherwise. 11.5 Packing materials which have been charged (deposit), shall be credited by Us after these packing materials have returned undamaged to our warehouse. In the event of minor damage, we reserve the right to credit less than the deposit charged. In the event of major damage, we shall not credit any amount and the packing materials will be at the Customer's disposal, regarding which we will notify the Customer. 12.1If Items bought/ordered by the Customer cannot be delivered by Us at the agreed time, we shall store these items at the Customer's expense and risk. The costs involved in this shall be payable by the Customer. 12.2 We may agree with the Other Party that the articles sold to or ordered by it can be stored in our warehouse. The starting point in this regard shall always be that we are entitled to invoice the stored articles immediately and in full. The Other Party will be able to dispose of these articles on call. 12.3 If the Other Party makes use of this possibility, a separate on-call order contract can be concluded. 13.1 All Items on the Customer's premises which come from Us shall remain our property as long as the Customer has any payment obligations vis-à-vis us, either by virtue of the retention of title included in this article, or on the basis of a non-possessory pledge, for which purpose the Customer establishes a right of pledge for our benefit now for then. 13.2 All Items delivered by Us shall remain our property until the Customer has complied with all obligations under contracts concluded with us. 13.3 The Customer shall not be entitled to alienate or encumber the items delivered in any way before payment has been made for them in full, unless we have been informed of this in advance and have agreed to it. Should the Customer fail to comply with this obligation, the purchase price shall then be immediately due and payable in full. 13.4 The Customer must bring the contents of this retention of title to the attention of the party to which it will give the goods delivered by us, whether or not as security, in undisclosed pledge. 13.5 The Customer grants Us the right now for then in particular cases to enter those places where our Goods are located in order to exercise our rights of retention of title. • whether the Items delivered meet the quality requirements or, failing these, the requirements that can be set for normal use and/or trade purposes. 14.2 The Customer must notify Us of complaints, with due observance of the provisions of clause 8.4, within 8 days of receipt of the items, in writing and by registered post with recorded delivery. 14.3 Visible shortfalls/defects and/or damage must be noted by the Customer on the waybill or delivery document. 14.4 If no comment was made on the waybill or receipt regard any damaged Items, packaging and/or packing materials when delivery was taken of the Items, this shall count as full proof that the buyer took delivery of the Items in a sound and undamaged condition, in any case externally. 14.5 The mere fact that a complaint is investigated shall not automatically imply that we acknowledge any liability in the matter. 14.6 A complaint must at least contain a thorough and accurate description of the defect as well as a statement of further information from which it can be concluded that the delivered Items and those rejected by the Customer are identical. 14.7 The Items to which the complaint relates must remain available to Us for inspection and/or testing in the condition in which they were at the time the defects were discovered, and may not be sold on unless we have given explicit written permission to do so. If it is impossible to keep the Items available, the situation upon delivery must be recorded on image material (photo/film). 14.8 If the complaints relate to part of the Items delivered, that cannot be a reason to reject the entire batch, unless the batch delivered cannot reasonably be considered as usable in such a case. 14.9On the Customer rest the evidence of the statement of statements that there would be non-conformity of goods delivered. This burden of proof applies to alleged defects such as (not exhaustive), differences in color, quantity or weight delivered, used sizes, thickness, satinage, hardness, etc..
14.10 If a complaint about a delivered Item is justified, we shall not be required to do more than replace the rejected Item at our own expense, or (at our discretion) to credit the Other Party for an amount equal to the price owed by the Other Party for the rejected Item. 14.11 In case of total replacement or reimbursement of Items, account shall be taken of the parts of them already used. 14.12 The Customer shall return the rejected Product to Us following our prior written permission and under conditions to be determined by us. 14.13 Any claim of the Customer shall extinguish after the Customer has put the rejected Product to use, processed or treated it, printed or cut it, or allowed it to be put to use, processed or treated, printed or cut, or has delivered it on to third parties, unless the Customer demonstrates that it was not reasonably able to notify Us of its complaint at an earlier stage. 14.14 The period for complaints about invoices sent by Us is 8 days. If no written protest is made against the invoice within that period, it shall be deemed to be a correct representation of the underlying transaction with Us. 14.15 After the expiry of the periods referred to in this article, the Customer shall be deemed to have approved the delivery or invoice. In that case, complaints shall no longer be handled by Us. 14.16We shall be released from any and all liability and not bound to accept and/or investigate complaints about defects if the Customer has not complied promptly with its payment obligations or other obligations vis-à-vis Us, nor in the event that the Customer and/or third parties, whether or not on the Customer's instruction, have made any changes to or repaired any Items delivered by us without our prior written permission. 14.17 Complaints shall not give the Other Party the right to suspend payment obligations or other existing obligations vis-à-vis Us. 15.1 Items picked up at our showroom or warehouse must be paid for in cash, unless explicitly agreed otherwise with the Buyer. 15.2 Payment must always be made within 8 days of the invoice date, without any discount or setoff, at our offices or by transfer to the bank or postal giro account indicated on the invoice. 15.3In performing the contract, we shall always be entitled to decide to deliver Goods cash on delivery only, or to require payment in advance. 15.4 If the Other Party does not pay within the stipulated period, it shall be deemed to be in default by operation of law, without any warning or notice of default being required. 15.5 From that time, so-called statutory commercial interest shall be due within the meaning of Sections 119a and 120, second paragraph, of Book 6 of the Dutch Civil Code (Burgerlijk Wetboek), as well as judicial and extrajudicial costs incurred to claim performance, dissolution and/or damages, which shall be at the Other Party's expense, except in so far as judgment is given against Us in a final and conclusive court judgment given on the matter at hand. 15.6 The extrajudicial collection costs shall be deemed to be at least 15% of the amount still due, with a minimum of 250 Euros. 15.7 Non-compliance, late or incomplete compliance by the Customer with its payment obligations shall give Us the right to suspend performance or further performance of the contract on our part until the Customer has complied with these obligations. At our discretion, we shall also have the right to dissolve the contract, without prejudice to our right to damages in relation to the later or non-performance of the contract. 15.8 Payments made by the Customer shall first serve to pay all interest and costs due and subsequently due and payable invoices which have been outstanding for the longest time, even if the Other Party states that the payment refers to a later invoice. 16.1 In these General Terms and Conditions, force majeure shall mean, in addition to what is included in law and case law, all external causes, foreseen or unforeseen, which are beyond our control, but which prevent Us from complying with our obligations, including strike actions in our company. 16.2 In case of force majeure, the performance of the contract shall be suspended as long as the force majeure situation makes it impossible for Us to perform the contract. 16.3 In the event of permanent force majeure, we shall be entitled to dissolve the contract without being required to compensate any loss. 16.4If the force majeure situation on our part has lasted longer than one month, the Other Party shall then have the right to dissolve the contract free of charge, however without being entitled to any claims on its part for compensation of loss incurred. 17.1 With due observance of the limitations referred to in these General Terms and Conditions, we warrant the soundness of the Items delivered by us, provided all our instructions relating to the use of these Items have been followed strictly. Items as referred to in this article also include packing machines and/or devices. 17.2The warranty on packing machines and/or devices shall take effect on the date of delivery of those Items. The warranty period shall expire 6 months afterwards. 17.3 We shall accept liability only for defects which the Customer can demonstrate to have occurred before or within the warranty period, exclusively or predominantly as a direct consequence of wrong manufacture or wrong treatment chosen by us, or as a consequence of faulty materials used by Us. If the defect is the consequence of any other cause, we shall not be liable. 17.4Call-out charges and wages (incl. travel expenses) are not covered by the warranty and are charged by Us to the Customer. 17.5This warranty does not cover defects which are wholly or partially caused by raw materials, materials or structures chosen by the Customer or mandatorily imposed on Us by any third party, or as a result of government regulations. 17.6 We warrant the usability of Items delivered by Us with normal use (in the segment). With an abnormally high frequency of use, the warranty shall therefore lapse. The warranty shall Lapse as well if the Articles are used for any purpose other than that for which they are customarily delivered. 17.7 The warranty does not cover consequences of specific development risks of newly developed Items. 17.8 If we are liable on the basis of a warranty, this liability shall be limited to replacement of the faulty Articles or refund of the amount invoiced for these faulty Articles, such at our discretion. The replacement of Articles shall be limited to redelivery exclusive of freight charges. In the event of replacement, a new warranty shall be issued for the replacement Items, which warranty shall take effect on the date of delivery of the replacement Items. • if, in case we are not the producer of the Articles delivered by Us, the Customer has received a warranty from the manufacturer, either directly or through Us. 17.10 In case we are not the manufacturer of the Items delivered by Us, our liability shall be limited to the liability as accepted by the supplier of those Items. • consequential loss is explicitly excluded in so far as it exceeds an amount for which we are liable on the basis of the foregoing. 18.2 Any further liability is explicitly excluded. 18.3 If the consequences of any loss incurred on the basis of this contract could have been insured by the Customer, or is normally incurred by customers in the relevant sector, we can never be held liable to compensate the loss incurred. • negligence of our employees or persons used by Us in the performance of the contract. 18.5 Designs/models, illustrations, tools, drawings, descriptions, software and all other information made available to Us by the Customer shall remain at the Customer's expense and risk, and shall be returned to the Customer upon its first written request, also at its expense and risk. 19.1 If we deliver or make software available to our Customer, the copyright therein shall remain applicable. The copying of the programs shall not be allowed without our explicit permission or the permission of our supplier. The Customer explicitly indemnifies Us for any and all losses that might arise or any and all claims that might be enforced against Us on the basis of illegal use of software. 19.2 If the software delivered by Us is modified and/or expanded without our explicit permission, any warranty shall lapse automatically. 19.3 Opening switch or operation boxes without our permission could render the software installed by Us unusable. If such is the case, any warranty shall lapse automatically. 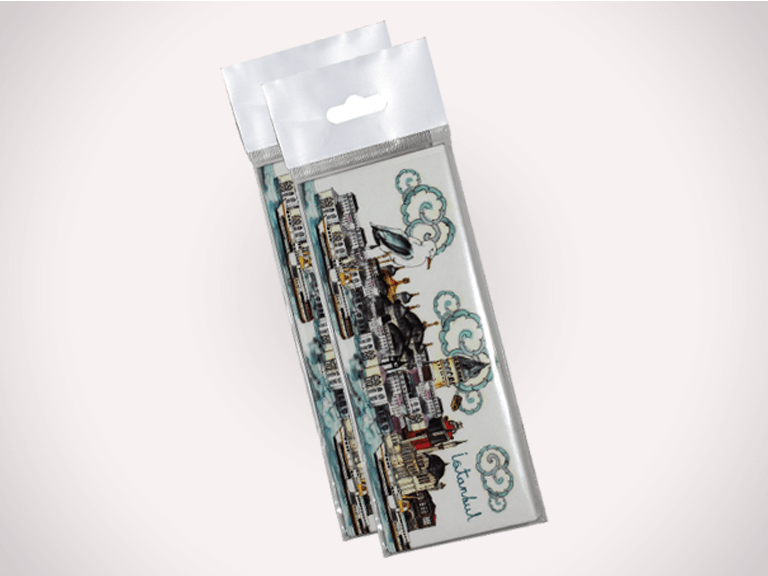 20.1 If such is agreed, we can print packaging materials according to the Customer's design. 20.2 If the Customer so desires and we have agreed this with the customer, we can store packaging materials printed in this way in our warehouse for the Customer on an on-call basis. If use is made of this possibility, a separate on-call contract can be concluded. 20.3 Before packaging materials are printed according to the Customer's design, a printer's proof shall be presented to the Customer for assessment. After approval by the Customer, we cannot be held liable in any way for the execution of the printed material, if it does not deviate to a significant extent from the printer's proof. 20.4 The provisions included in these General Terms and Conditions shall apply to the manner of execution and deviations in material and/or colour. 20.5 We cannot be held liable for colour deviations if the colour used by Us is the same as the sample handed over to Us by the Customer or the colour number made known to Us by the Customer. 20.6 We shall have the right to charge all costs related to the printing of packaging materials according to the Customer's design, such as design drawings, plates and pressure rollers in full. We shall invoice these costs immediately after the printed matter is ready, despite the fact that the printed packaging material may be purchased on call and can consequently be invoiced in partial deliveries as well. Payment must be made within the applicable period. 20.7All design drawings, plates, pressure rollers and suchlike made by Us or on our instruction, whether or not at the request of our Customer, even if they have been or will be charged fully or partially to the Customer, shall remain our property. 20.8 If an order is not made after a quotation is requested, the costs of a design made for this and any plates already made can be charged by Us to the Other Party within 3 months of the date of the quotation. The Other Party must pay these costs. 20.9 Plates used by or on the instruction of our Customer shall be deemed as approved. 21.1 All information, drawings, illustrations and overviews in catalogues and official lists are protected by copyright. The Other Party shall not be permitted to copy these documents or disclose them to third parties without our explicit permission. 21.2 The copyright in designs, drawings, sketches, lithos, photos, software, models, stamps, punch forms, plates, patterns etc. made by Us or on our instruction shall be vested in Us at all times. They may never be reproduced or made available to third parties without our permission. 21.3 Our Other Party indemnifies Us for all consequences of any infringement of any third-party right if we use a certain image, drawing, model or design at the request of our Customer. 21.4 If the Customer makes raw materials, auxiliary materials, ingredients or printed matter available to Us to be processed in Items purchased from Us by the Customer, the Customer shall indemnify Us explicitly against possible claims of third parties based on infringement of copyrights and rights arising from patents, trademarks or designs/models. 22.1With respect to the agreed specifications, the deviations included below, both upwards and downwards, shall be permissible. For the purpose of assessment, the average of the total of the quantity delivered in one type, quality, colour and construction shall serve as a criterion. For specifications other than those mentioned below, the deviations permissible for previous deliveries and, failing those, the customary deviations shall be permissible. If a minimum or maximum value has been agreed, a double deviation upwards or downwards shall be permitted. - 5% above or below the indicated quantity for orders above 5000 kg. - 10% above or below the indicated quantity for orders above 1000 kg. - 5% above or below the indicated quantity for orders above 10,000 kg. - 5% above or below the indicated quantity for orders with a net weight above 5000 kg. For each order, one batch in one size and quality is meant. Invoicing shall take place on the basis of the actual quantity delivered. 22.3 Regarding materials, we shall be deemed to have performed properly if the deviations in quality, colour, hardness, glaze, thickness etc. can be considered as minor. In assessing whether a delivery has exceeded the permissible limits, an average from the total batch delivered must be rejected. Deviations in the colour of cardboard or coverings shall not give a right to complain. 22.4 If a packaging range has been composed of different base materials, we shall not guarantee any unity of colour. - from 500 grams/m² 8%. - plastic film Items in developed length 10%. The permissible deviation in the agreed roll diameter is 3 cm. A limited number of so-called remainder rolls may have a smaller diameter. 23.1 If one of the clauses or part of a clause of these General Terms and Conditions or any part of the underlying contract should be null and void or nullified, this shall not, for the rest, affect the contents of the clause or the clauses of these General Terms and Conditions, or the underlying contract shall remain in effect. 23.2 The parties shall then make an arrangement for the null and void or nullified passage which most closely approaches the intention the parties had in mind for the underlying contract or these General Terms and Conditions. 24.1 All agents, representatives, employees or others who have received an assignment from Us, or who have been appointed or employed by Us, shall each have the same protection for him/herself and be entitled to the same exclusions, exemptions and limitations of liability as will apply to Us ourselves under these General Terms and Conditions or under any contract concluded with Us. 25.1 Claims for which we have been held liable, shall Lapse if the Customer has not taken Us to court within 6 months after we have been warned and put in default in writing. 26.1 These General Terms and Conditions are published by the Nederlandse Vereniging van Groothandelaren in Papier en Verpakkingsmaterialen (Association of Dutch Wholesalers in Paper and Packaging Materials). The copyrights are also vested in the Association. Nothing from this publication may be reproduced and/or disclosed by means of printing, photocopy, microfilm or in any other way, without prior written permission from the publisher. Only members of the Nederlandse Vereniging van Groothandelaren in Papier en Verpakkingsmaterialen are allowed to use these Terms and Conditions. This permission shall Lapse automatically upon termination of membership. If these Terms and Conditions are used without prior permission, pursuant to the provisions of the Copyright (Auteurswet), damages in the amount of 5000 Euro per violation shall be due. 27.1 The provisions of these General Terms and Conditions shall apply fully to the delivery of packaging machines and devices, in so far as they do not depart from this provision. 27.2 Packaging machines and devices will be delivered at the address indicated by the Customer, next to the means of transport which delivered the Articles. If installation is possible on the ground floor and no auxiliary means of third parties are needed, installation shall take place free of charge. Installation must, however be possible within 30 minutes after the Goods have been unloaded next to the means of transport. If this time limit is exceeded, we shall be entitled to charge the Customer for this on the basis of the customary hourly rates, rounded off to a half hour or part thereof. If we have to engage auxiliary means of third parties to carry out the installation, as well as in the event of vertical transport, the costs involved in this shall be payable by the Customer.  exclusive of refurbishment costs that prove to be necessary. 27.4 If lifting and hoisting gear is used or if we or others on our behalf take care of this in a different way, or are assisted in the hoisting of the machine, this shall take place completely at the expense and risk of the Customer. 27.5 The Customer must see to it that all necessary facilities, of whatever nature or name, are available at the place where the machine or device in question has to be installed. Air and water supplies must be available if necessary within one metre from the machine or device in question. We have provided machines and/or the devices in question that need electric power with plugs. For machines that need so-called three-phase power, the Customer must inform Us in advance of the type of plug. The Customer must take account of the fact that the desired power of a machine can be so high that special electrical switching facilities are necessary. As far as possible, we shall inform the Customer of this prior to installation. 27.6 The installation of machines and/or devices shall be completed after a proof run has been successful. If proof runs are not possible owing to any cause imputable to the Customer, the installation shall be completed after the machine or device has been installed by Us and is ready for production. 27.7 Problems with respect to the installation shall never release the Customer from complying in full with its payment obligations vis-à-vis Us. 27.8 The Customer must sign a completion statement. If the Customer refuses to do so, this refusal shall be considered as an acceptance of completion. 27.9 Packaging machines and/or devices can never be protected to such an extent that (all) moving parts cannot be reached by hand from the outside. This is inherent in packaging. Regarding the safety of our products, we have taken the maximum possible safety requirements into consideration. The operator of the machine or device must never place his hands in the machine part when it is in operation. The machine and/or device is constructed in such a way that this is not necessary. If during the Customer's production process, an article to be packaged should get stuck in the machine or device, or should the input of packaging material and/or adhesive tape and/or staples and/or strapping come to a standstill, the machine or device must be switched off immediately until the problem has been remedied. We shall in any case accept no liability whatsoever if the above-mentioned safety requirements are not strictly followed. The Customer must inform its operating staff itself of these safety instructions. 27.10 Packaging machines and/or devices delivered by Us meet the required statutory safety standards and are provided with a CE mark. If the Customer nevertheless wishes additional safety facilities or other additional facilities, the costs involved in this shall be charged additionally. 27.11 The stipulations referred to in this article apply to machines and/or devices sold by Us as well as to equipment rented out or lent by Us. 27.12 The good operation of equipment sold or rented out or lent by Us shall be warranted only if packaging and auxiliary materials are used which have been delivered by Us, or of which we have approved the specifications. The Customer will have the opportunity to conclude a maintenance contract on packaging equipment sold by Us. We will conclude a separate contract for this with the Customer. 27.13 All warranty claims of the Customer shall lapse if the Customer does not use the materials delivered by Us on or for the machine. 28.1 The laws of the Netherlands, to the exclusion of any other legal system, shall govern all matters relating to these General Terms and Conditions, the contract or the performance of the contract. 29.1. Disputes which arise from contracts concluded with Us shall be settled, at our discretion, by the Civil Court in our place of business. 30.1 Translations of these General Terms and Conditions may be put into circulation. The Dutch text shall, however, be binding. 31.1 These General Terms and Conditions have been filed at the office of the Chambers of Commerce of The Hague and Amsterdam. 31.2 The version last filed, or the version that applied at the time of the offer or the transaction with us, shall always be applicable. MoodsPromo is manufacturer of all kind of custom made products, that is how we make our living. When you need support for the design of your artwork, we will do that at cost price. Give us the opportunity to show us how easy your artwork is made.